Euthanasia is rooted in discrimination against disabled people, Dr Kevin Fitzpatrick, who is organising Hope Ireland’s inaugural conference in Dublin on Saturday (6 June), has warned. Speakers at Hope Ireland’s inaugural conference will include the well known legal expert, Professor William Binchy. Conference organisers say it is timely given recent court cases which tested Irish laws against euthanasia. He highlighted that in Belgium, one in twenty deaths is now deliberately caused and euthanasia for children of any age is now legal. Earlier this year Canada legalised euthanasia on the grounds of disability. Dr Fitzpatrick said that it is now impossible to deny euthanasia laws are rooted in discrimination against disabled people and used to end the lives of people who were not terminally ill. Babies born with spina bifida, and adults with psychiatric conditions have been euthanised, he said. Dr Fitzpatrick said that most people who are offered the best end-of-life care turn away from their wish to die. This shows the vital importance of such care and support. “In Ireland, as elsewhere, we should be proud of the hospice care movement, and our communities which offer such incredible support and proper end-of-life care. This is where end-of-life care truly prioritises dignity and respect while at the same time seeking to help people live as fully as possible. We must ensure that every possible health, social and human support is provided to those who need it,” he said. It is understandable why some people can fall into despair without that very best support, he added. A year ago the Irish Hospice Foundation (IHF) welcomed a Dail Committee report calling for the development of a national strategy on palliative care, end of life and bereavement. Just six months later in December 2014 new research by IHF showed that some counties were better than others at providing hospice and/or palliative care but 74% of Irish people want to die at home, up from 66% in 2004. “The IHF believes that enabling people to fulfill their wish to die at home is not just a matter of effective health services and flexible, responsive, people-centred systems. It is fundamental to the very basis of humanity in an evolved society. Allowing choice and dignity in end of life care, and in the experience of dying, is a strong indication of how we care for Irish society as a whole,” said Sharon Foley. Other groups such as Every Life Counts have called for better care for babies – perinatal hospice-type care – stating that how we treat parents and babies in that situation is “the hallmark of a civilised culture.” (see CatholicIreland.net 29 May 2015). Saturday’s conference is titled ‘Saying No to euthanasia and assisted suicide’. 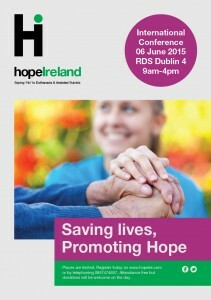 It takes place at the RDS conference hall in Dublin from 9am – 4pm. Dr Kevin Fitzpatrick OBE: Director of Hope Ireland, Director of Euthanasia Prevention Coalition International and a disabled activist. William Binchy: Fellow Emeritus, Trinity College Dublin, Barrister at Law, former Commissioner, Irish Human Rights Commission, 2001- 2011. 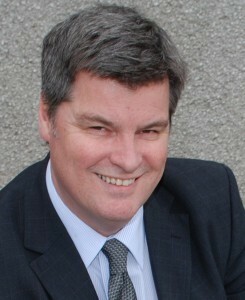 Alex Schadenberg: Executive Director and Chair of Euthanasia Prevention Coalition International.